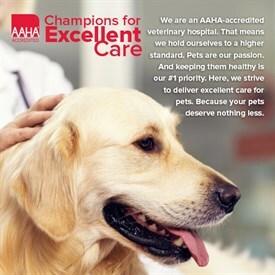 At Park Animal Hospital, we have been treating animals with loving care for over 37 years. We choose to perform almost every procedure (exams, blood & urine collections, injections) in the exam room in your presence so that you will know exactly what is being done, and how. If it is necessary to take your pet to the treatment area in the back, you are also welcome there. In the case of surgical/dental procedures, we can accommodate one family member per pet to stay as well, but this must be pre-arranged with the attending veterinarian.